I’ve been networking for some time and have found that the benefits of a good group goes beyond the obvious hoped for increase in business. BIG is a perfect example of this – probably why it’s the group I’ve attended most consistently and for the longest period of time, having been a member for several years. As an artist, my day can be quite solitary so having a regular meeting with others provides social interaction as well as support, help and advice when needed. In a good group, business isn’t the only thing discussed and it’s fun getting to know people and finding out what folks do outside working hours. 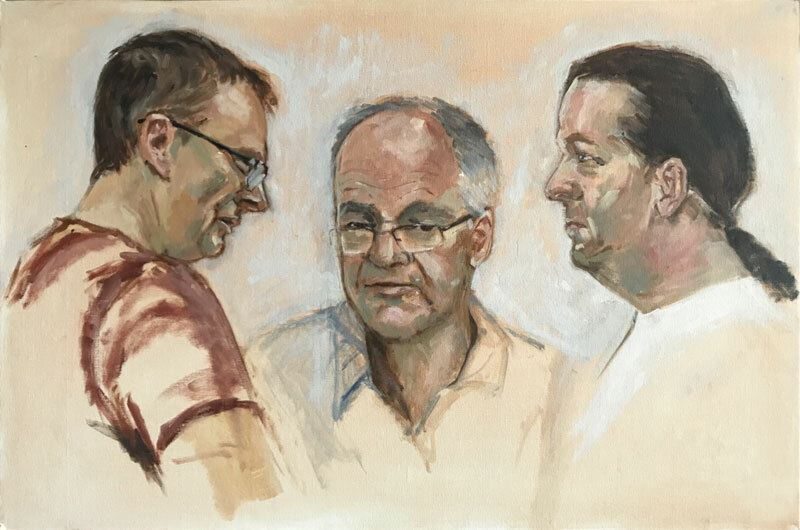 During a recent meeting, I put out a call looking for folks happy to sit for me while I practise portrait painting from life. 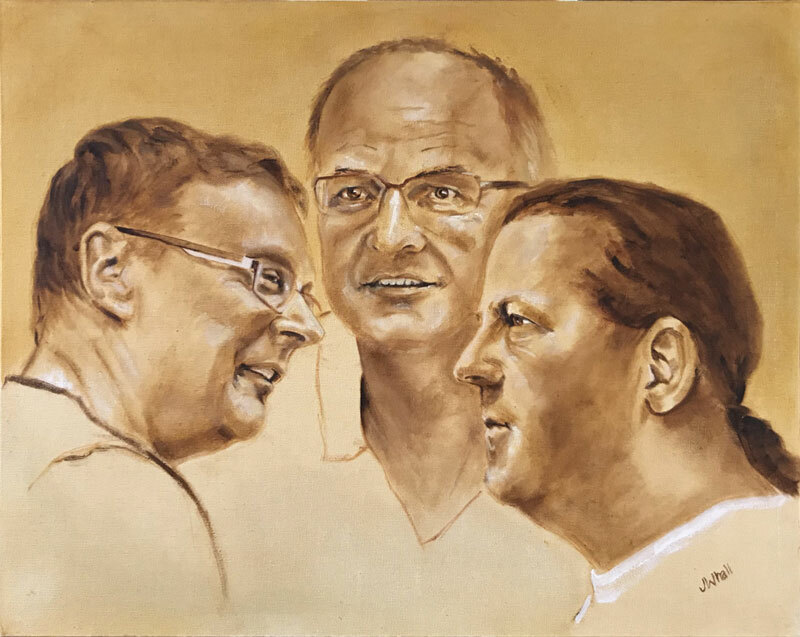 Imagine my excitement when I was invited by a couple of BIG members to paint the 3 friendly guys who present ‘Dave Brock Buttered My Cat’ on Doncaster’s local radio station Sinefm. BIG members Ian Clay, director at Walker Solicitors and Dean Hutchison, owner of Heads for Business present this show alongside Mark Appleyard. For those of you who don’t know, Sinefm is available on 102.6 fm across Doncaster or online at sinefm.com. 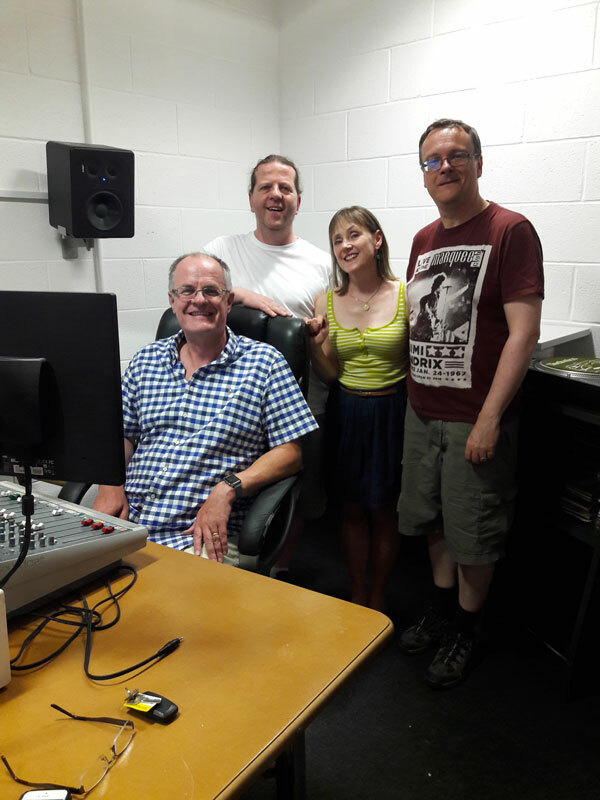 These great guys can be heard live from 20:00 – 22:00 on Monday evenings playing lesser known tracks and artists from the world of rock as well as a few familiar sounds for those whose memories go back that far, interspersed with interesting facts and banter to make you chuckle. Online you can listen live or catch up with missed shows on the podcast. To quote from the website: ‘Fill your head with the weird world of prog, psych and early metal with this amazing journey into the freak zone’. Now the whole reason for me asking for volunteers is because my life painting skills are in need of developing and practise is the only way to do that. So… my attempts on the night were less than perfect to say the least – partly due to my lack of experience and partly due the fact that my subjects were presenting as I painted – I’ve got a long way to go with still models so moving heads, eyes, mouths etc provided an extra complexity that had me constantly adjusting my painting and searching for a likeness. Thank goodness for phone cameras – I took lots of pictures! Once home, I adjusted the sketch I had painted on the night and, under the circumstances, I’m not too displeased with the result. Following a comment from one of the presenters who mentioned that my sketch reminded him of ZZ Top’s First Album cover, I decided to paint the 3 of them in a similar composition to the album. As this was painted from the comfort of my own studio, I have been able to get a better likeness. I ‘unveiled’ the painting on one of their shows and presented each of them with a print. All made possible through networking.